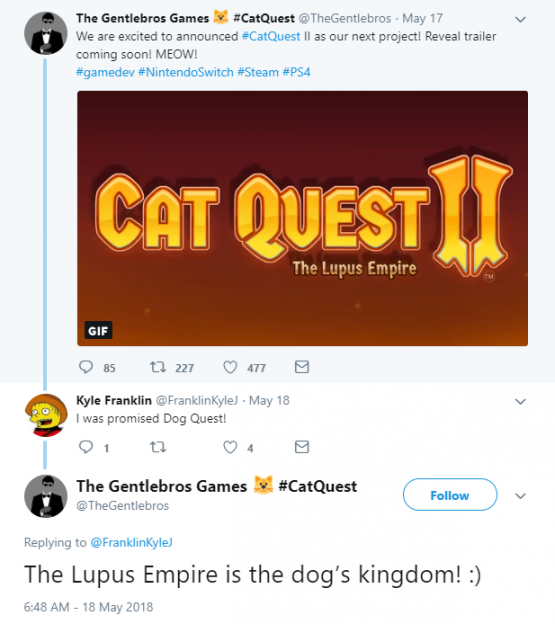 A hype train has started on Twitter, as developer The Gentlebros announced the next instalment on their Cat Quest franchise, Cat Quest II: The Lupus Empire. 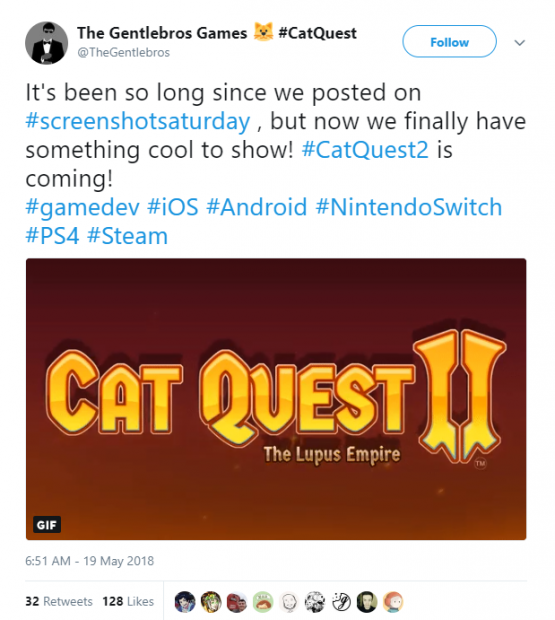 Cat Quest II: The Lupus Empire will be playable on the PlayStation 4, Nintendo Switch, and on Android and iOs mobile platforms. Storywise, the game will heavily emphasize on the Lupus Kingdom, which is well… a dog-centric place. More information about Cat Quest II: The Lupus Kingdom will be announced soon, so stay tuned in for more details!